Hungry Horse News editor Chris Peterson has a well thought out editorial in this week’s paper . . . 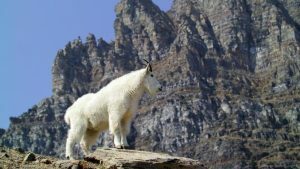 I ask you this: Why is it that when I want to take a photo of a trophy-sized deer, elk, moose, bighorn of mountain goat, I go to Glacier National Park? Glacier has a full suite of predators, big and small. It has wolves, mountain lions, black and grizzly bears, coyotes and lynx all roaming the landscape, gobbling up game, right? Why if I was to listen to all the Fakebook experts there shouldn’t be hide nor hair of any game species in the Park. The wolves alone would have eaten them all up by now and what was left the bears would have scavenged, right? Could large predators help fight chronic wasting disease?